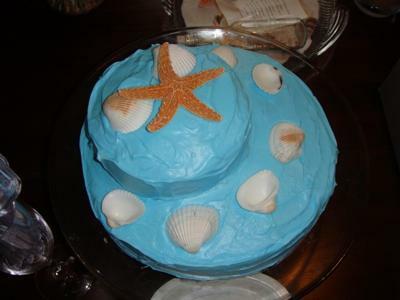 The shells for this beach wedding shower cake are from Michael's. I was supposed to make petit fours but those did not work out, so I had to whip something up the night before the shower. I thought it was cute - for a beach wedding shower.